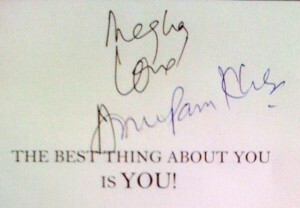 I purchased Anupam Kher’s book, The Best Thing About You Is You, from Crossword today. 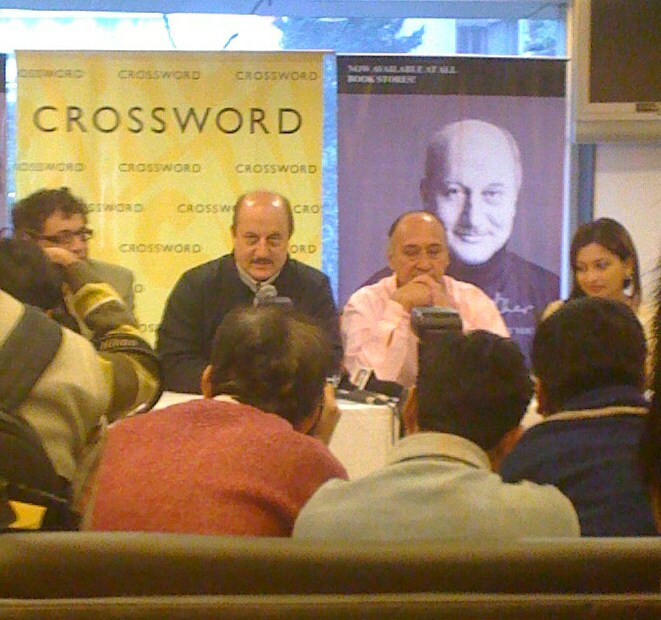 When I went to the bookstore, I came to know that an interactive session with Anupam Kher was scheduled for the evening. Now, what happens with celebrities is that they are seen mainly on the big or small screens. You build up a notion of their being something that is inaccessible and enigmatic, belonging to the screen world and someone with whom you can’t relate to. So, though I was excited about the Bollywood star coming to Kolkata, I didn’t think much about it. While coming back home, I flipped through the book. By the time I reached home, I had read 4 chapters and I was eager for more. There is this simplicity and bare emotion in every word he has written that left me awestruck. I felt I was looking at a mirror to my thoughts. While I was still in the unfazed state by the initial few chapters, I happened to browse through the list of chapters. Chapter 33 – “A Good Story Can Change Our Lives”. The chapter talks about the importance of sharing noteworthy stories. And it happened again. Every single word of that chapter resonated with my thoughts. This time with the thoughts that led to the formation of I See India. I had got to meet him. So, I was at the venue well before time and took a seat in the second row. When he came in, accompanied by Derek O’ Brien and Victor Banerjee, everybody rushed in front with their cameras and the media cameramen remained at front blocking our view. Before we could protest, the man himself asked them to change their position so that the people who had come to meet him are not left at an unfair disadvantage. The first glimpse of Anupam Kher as a person. He then started telling us about what led to this book. He began with the time when life was tough and he had hit that bottom in life where you no longer have anything to be scared of. He had gone bankrupt, he wasn’t getting exciting roles and he suffered from facial palsy. He was informed it would take him 2 months to recover from the nerve disorder and was advised to stay indoors for that period. However, he decided to continue with work. This happened during the shooting of Hum Apke Hain Kaun. So, he went over to Suraj Barjatiya, the director of the movie and told him about the problem and his desire to continue working. Then all was fine. He continued with the shooting. The only difference was that only long shots were taken of him. The whole incident made him realize that our problems can be solved if we talk openly about it. The world constantly tries to make us feel as underachievers. But we can choose not to feel like that. He then was motivated to write a play about his own life called Kuch bhi ho sakta hai. He has written this book in similar lines to the play. He put his thoughts into beautiful words as he said, “Success is boring. Failure is multidimensional. The strength to deal with failure is within you.” I felt happy to be there and listen to him. What he said, was nothing new. But then, listening to good thoughts is always good. You can never get enough of it. Life is like this vessel that needs to be refilled with positive thoughts and ideas to allow that vessel to feed you with the energy and courage to sail through your lifetime. Mr. Kher then invited Derek and Victor Banerjee to read a chapter each from his book. After Mr. Banerjee finished with his part he had something interesting to say. “This man has given us entertainment. He has given us something to think about. He has upheld good values”. He said that as actors they have a certain social responsibility towards the audience and Mr. Kher is one of those who always portrays his characters keeping this in mind. There is a line in the book- “Bheega hua aadmi baarish se nahin darta” . 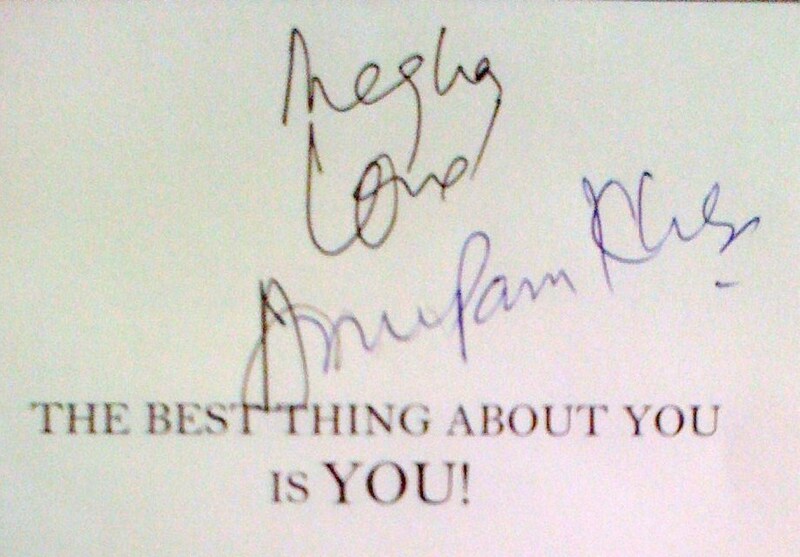 Amitabh Bachhan has quoted this to be his favourite. Mr. Kher shared the story behind this line. This was part of a letter his grandfather Pandit Amar Nath had written to him during his initial struggling phase in Mumbai. Mr. Kher was highly disheartened with the response he was getting and he was almost ready to give up and go back to his home in Shimla. That’s when his grandfather told him not to accept defeat as he had worked hard for his career till then and inspired him with the line, “Bheega hua aadmi baarish se nahi darta”. He said another very nice thing, that a life we want to live is the one where we make sure that our grandson quotes us someday. Mr. Kher continued to share some more stories from his life. And I was busy assimilating them all. They say like charges repel. But here the positive waves around were eager to merge with my positive outlook. I was also fortunate to tell him about I See India. He said he would have a look at the site and get back to me. It was a great day. The reason why I am mentioning this in I See India is because I found his book in lines with the ideologies that led to the creation of I See India. Also, I feel the more the positivity we can enthuse within people, the better it is. So I hope people will enjoy reading the thoughts of Mr. Anupam Kher shared in this story. Wonderful read! CongratulaTONS on the great work you are doing. Though I’m not an avid reader but looks like the snippets worked for me. Looking forward to reading this book. Thanks for sharing. My all good wishes to you and ISeeIndia.